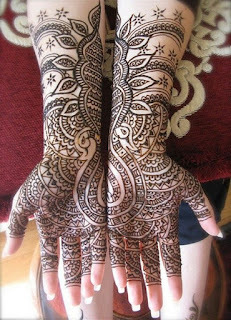 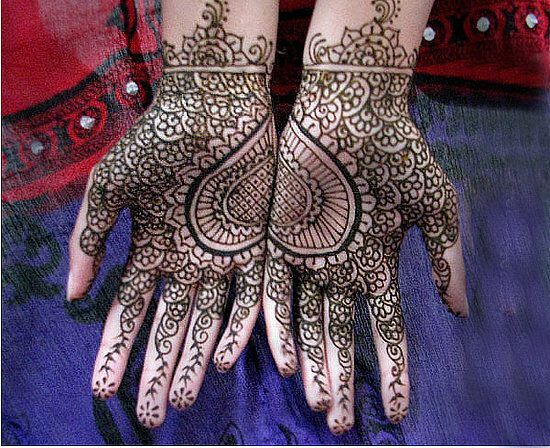 Symmetrical mehndi patterns are super in trend these days and I have spotted lot of brides also opt for such henna mehndi patterns. Instead of going for 2 different mehndi deigns for two hands you can go for a half and half mehndi where the same design is put on both hands in a symmetrical pattern for a matched and polished look. 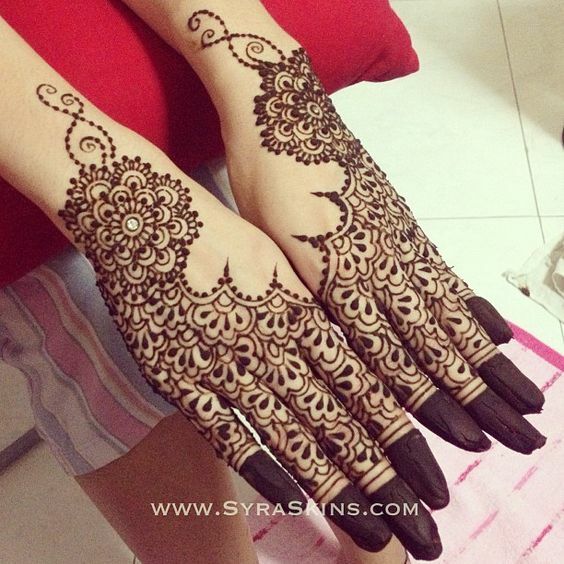 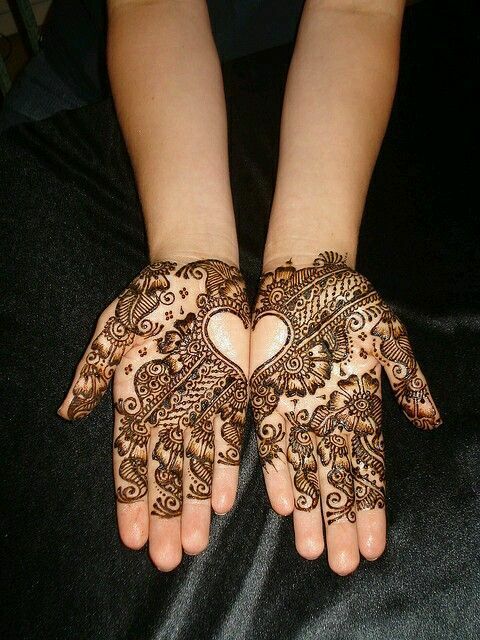 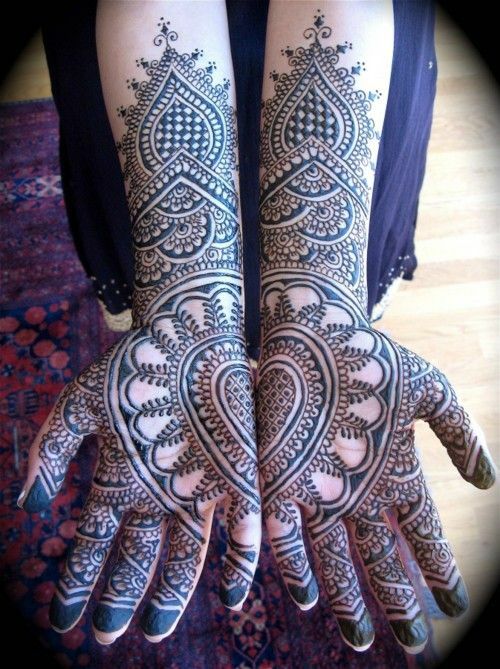 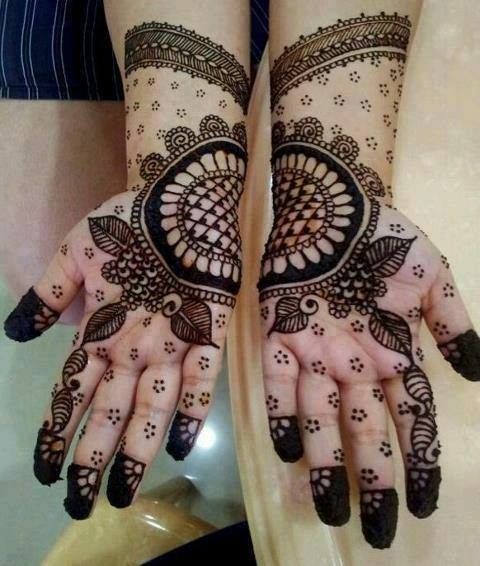 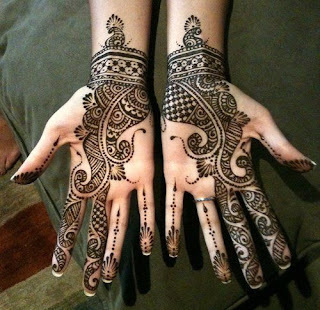 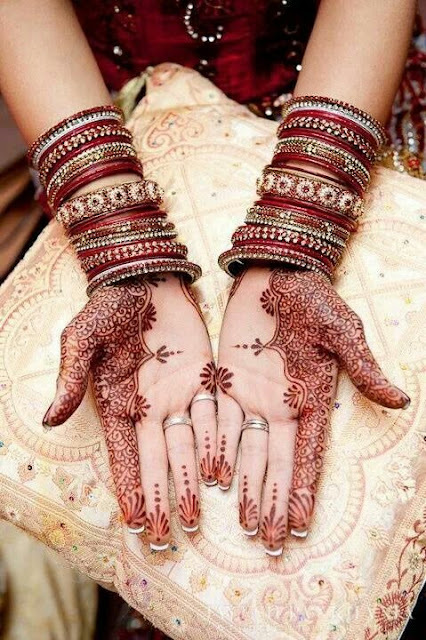 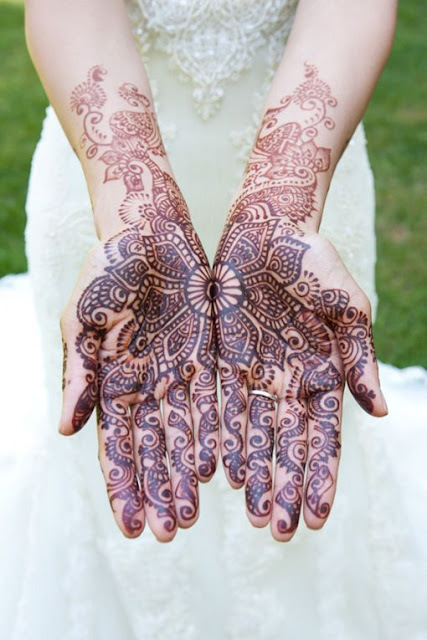 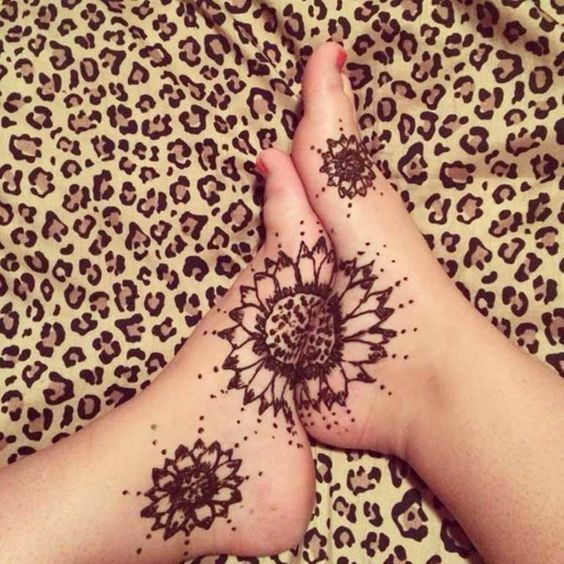 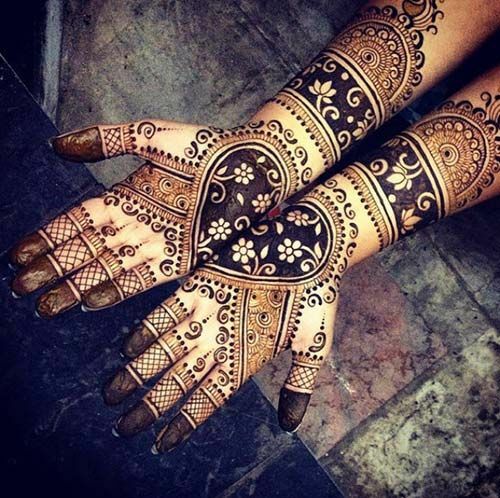 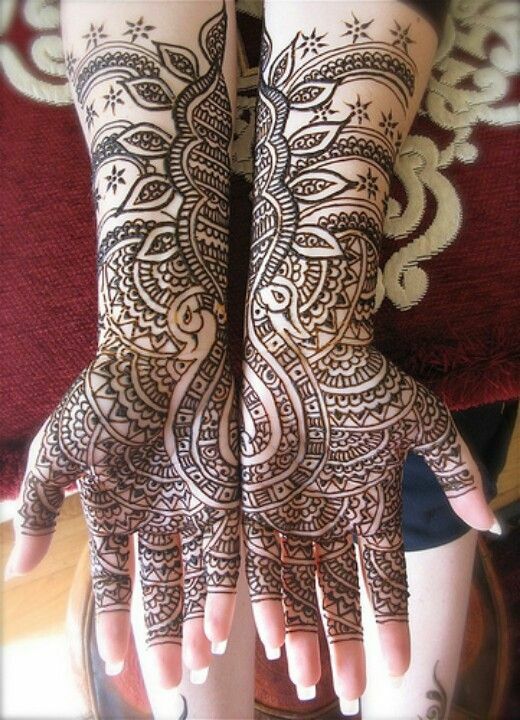 These kind of designs look amazing when you join hands to show off your mehndi . 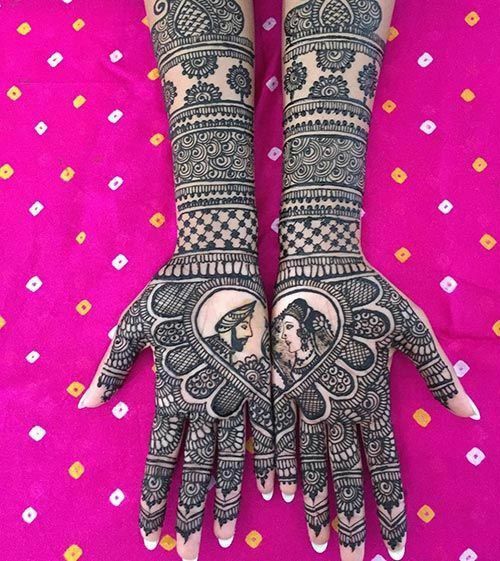 These kind of symmetric designs look amazing when photographed with both hands together, dont forget to click photos and flaunt them on instagram.